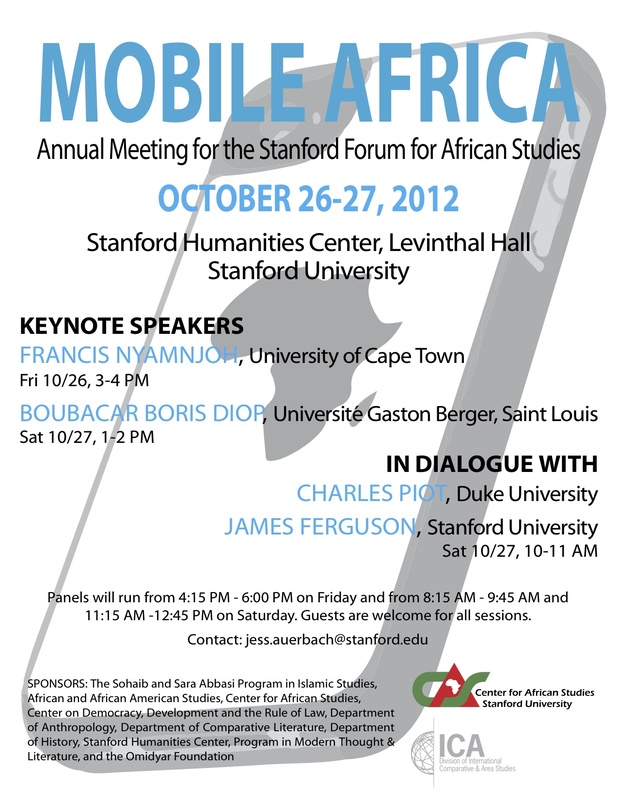 This year’s annual conference of the Stanford Forum for African Studies will be held October 26-27, 2012 at the Stanford Humanities Center. All are invited to attend. Guest speakers include Francis Nyamnjoh (University of Cape Town) and Senegalese writer Boubacar Boris Diop, best known for his book, Murambi. The full conference program can be found on the SFAS website.